Well, here it goes. I've owned two previous MK3 Supras but back then I had money for basic maintenance and that was about it. I will try and dig up some old pictures, but not sure I have any sadly. Anyhow, it wasn't until my friend bought a Burgundy '87 Supra back in 1997 that I even knew what the hell a Supra was. I grew up in a small town that was about 5 hours away from any city so these cars were rarely seen by me. 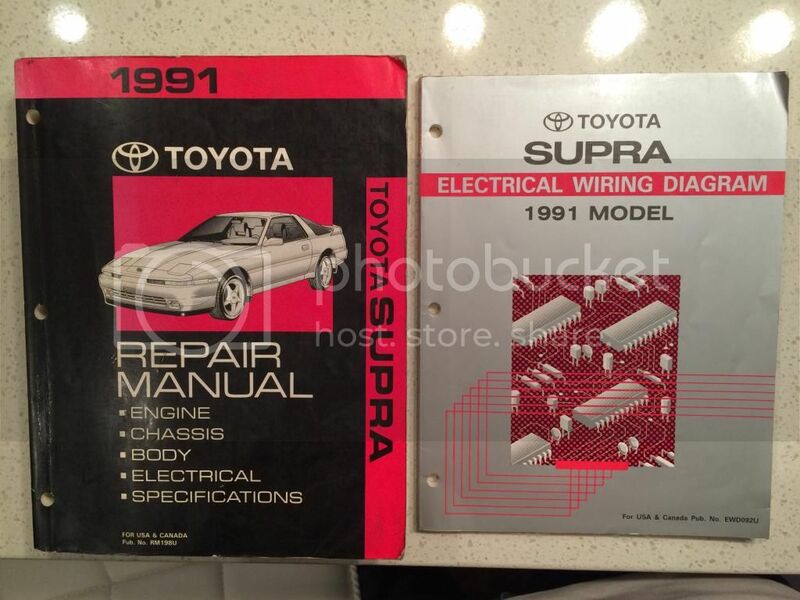 After driving his car, I just had to have one and then began my interest in the Supra. I've been looking for a car for quite some time now and I came across this car in the Classics Section of Kijiji in Nanaimo BC. The guy who owned the car was an older gentleman and really cared for the car. He and his dad both really liked Supra's. The guy in Nanaimo originally bought the car from a guy in California (the car was for sale on Supramania about 7-8 years ago). In the 7-8 years the guy I bought it from didn't do a thing with the car. The car has no functioning stereo in it and it was puffing smoke on deceleration for the whole time he owned the car. I took a bit of a gamble on the smoking as I'm pretty sure it is the stock turbos so hopefully by this spring I'll have that issue sorted out. I bought the car in October just before thanksgiving weekend and it drove great all the way back to Calgary from Nanaimo. I now remember how comfortable the supra seats really are.I typically get a bit of a sore back when I drive long distances, but I didn’t get a sore back at all during my drive. Once I got it back to town, I obviously had to get it past the provincial safety inspection and sure enough I failed due to three things. The car used to be an automatic so when the swap was done, they didn’t hook up the wiring for the two clutch safety switches. One for starting the car and the other for kicking off the cruise control. DRL- the fog light switch turned the lights on/off however they need it to remain on all the time. They need a printout ensuring the car has no CEL codes stored, which I told them it won’t do as its pre-OBDII. I don’t have a lot of pictures of the car right now as it is in storage for the winter, but I do have some interior pictures that the previous owner sent me. So far this winter I've started working on a few things. Something is up with the transmission and I'm not sure exactly what it is just yet. There was quite a bit of vibration sound coming from the shifter itself so I took it apart and noticed someone along the way did a SOGI short shifter mod on the car. I like the look of it, but to hit 5th gear I have to take my back off the seat of the car to reach it. 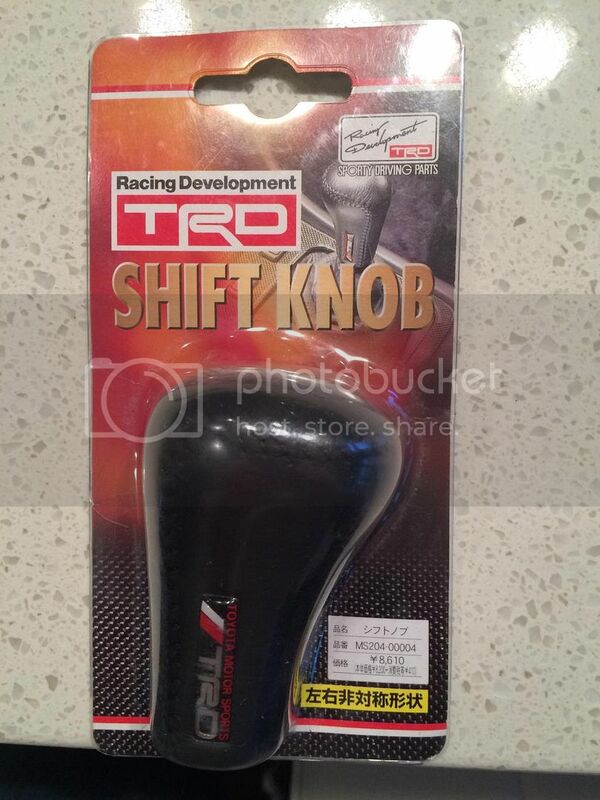 I ended up buying a used 5spd shifter assembly from an auto wrecker in Ontario. I took off the SOGI one and noticed a few odd things. One, the metal plate that is between the body of the car and the rubber insulator shifter boot only had two bolts holding it in place. The two rear bolts were missing and had double sided packing tape instead (ghetto bolts, I mean they didn’t even use duct tape, geez!!). When I had it apart I noticed the reason the tape was used was because the two rear holes in the body didn’t line up to the metal plate. Because I had two metal plates I decided to drill two holes in the metal plate to align with the two rear holes. I managed to do it first try! What was good though was when they did the SOGI mod, they replaced the green gasket and the white bushing when doing it. I’m hoping that returning this back to stock will eliminate the vibration sounds that were coming from the shifter area before. 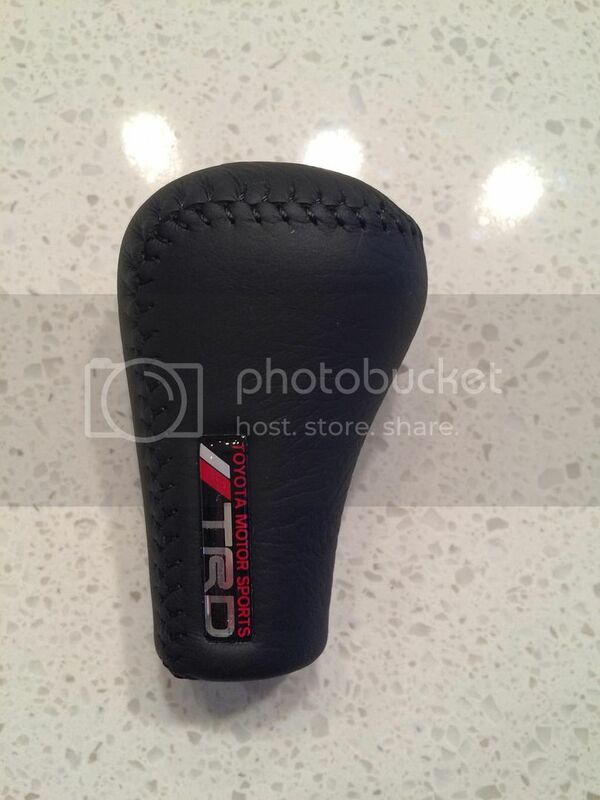 I also recently ordered a genuine TRD shifter knob from Elmhurst Toyota in the states (Curt Aigner). I think it will look perfect in my car. Last edited by YYCSupra; 01-07-2015 at 02:38 PM. Got a few additions today in the mail! 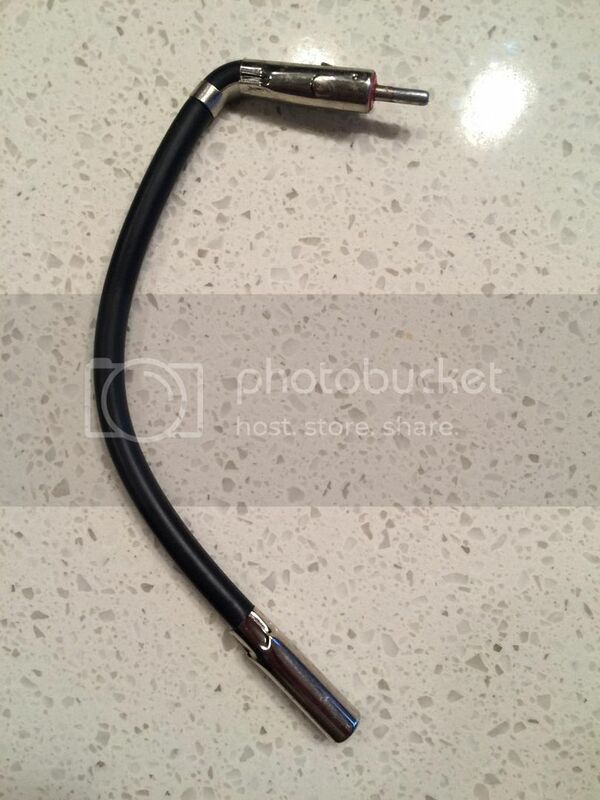 2nd: got my Scosche Micro Antenna Adapter so that I can use my window antenna and not have the "mast" as my antenna. Last night I officially took care of issue number 1 on my inspection list (the airbag). I installed my airbag steering wheel and cleared code 41. Code 41 is not one of those codes you can simply disconnect the battery and have it be cleared. It required a bit of finesse to get it to clear. I had to ground 2 pins in a certain order 5 times. I will post pictures once I put my interior back together. Right now I'm getting ready to wire in my speakers and amp, plus my clutch switches. I also have a question for those who are audio enthusiasts. I'm planning to run a 5 channel amp with my front / rear speakers and 12" sub connected to it. What I'm wondering is if you would run all new speaker wire directly to each speaker or just "extend" the speaker wire from behind the deck? I kind of cringe when I think of trying to fish wire to my front speakers. I'll post some pics of my setup soon. Making some good progress on her!!! Glad to see this car is in good hands!! I'm hoping to get all my inspection items taken care of soon. After beating my head against a wall all day trying to figure out how the clutch start switch should be wired in...I finally got it figured. I ran out of time, but tomorrow I should have it all done. The cruise switch will be equally as easy. I was making it much more difficult than it needed to be. Once that's done it's stereo install time!